Did you know that poet Walt Whitman was also a Civil War nurse? Devastated by his country dividing and compelled to service by his brother's war injury, Walt nursed all soldiers-Union & Confederate, black & white. By getting to know them through many intense and affecting experiences, he began to see a greater life purpose: His writing could give these men a voice, & in turn, achieve his greatest aspiration--to capture the true spirit of America. 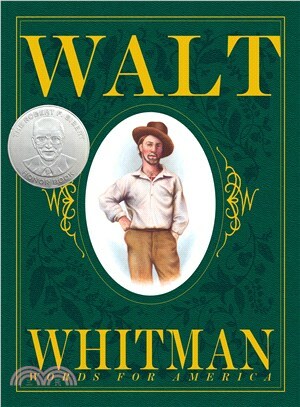 Dramatic, powerful, & deeply moving, this consummate portrait of Whitman will inspire readers to pick up their pens & open their hearts to humanity.